The Great Lakes Lifestyles window is one of the entry level vinyl windows that is very similar in design and features to the Seabrooke series, with one or two subtle differences. At one time, the company had individual websites for each window series they manufactured. More recently, starting sometime in 2014-5, they did away with this system for their lower end vinyl windows, specifically the Bayshore and Lifestyles series (the Seabrooke still has a standalone website). I'm not going to spend a lot of time going over the details on this window considering that Great Lakes doesn't even mention it on their website. If will say this, most homeowners would do well to stretch into the Great Lakes Uniframe vinyl window if their budgets allow - better long term value. Consumers can expect the Great Lakes Lifestyles window costs to range from $25 to $35 per square foot for the window itself. Comparable windows include Simonton Asure window prices and Jeld Wen Builders Vinyl windows. 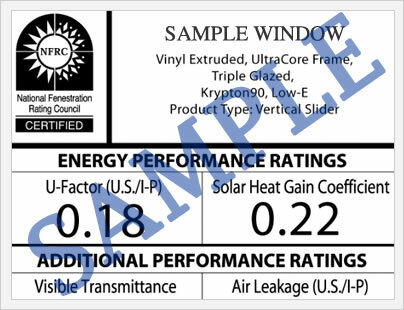 If you look at the National Fenestration Ratings Council website, the Great Lakes Lifestyles window is lumped in with the Bayshore and Seabrooke (not completely sure why this would be, presumably these window models are going to vary somewhat in terms of performance.) With the standard low-e glass option, the window will get a .34 U factor, .24 SHGC, .34 VT, and a 51 condensation resistance. All in all, not very impressive. If you upgrade to the plus glass package, you can expect a .29 U-factor, .24 SHGC, .40 VT, and a 54 condensation resistance rating. As with the Seabrooke model, I couldn't find any AI or air infiltration data on the Great Lakes Lifestyles window. 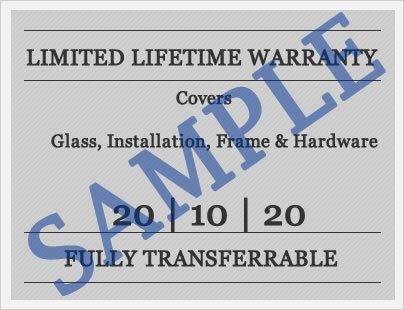 Great Lakes offers a lifetime warranty on the mainframe and sash for the original owner. All moving parts (balances, latches, etc.) are also covered for the life of the homeowner. The fiberglass screen and insulated glass unit both carry a lifetime provision, however the IGU is prorated - meaning the company covers a smaller percentage of the replacement cost with each year. The warranty is transferable, although we were unable to find details relating to what steps the consumer must go through to actually transfer the warranty. All warranties have limitations and exclusion and this one is no different. You should definitely read the warranty document in full to better understand the fine print. Do you have a question about the Great Lakes Lifestyles window? Our industry professionals are here to help you find additional information on bids, pricing, installation options, contractor quotes etc. Just ask your questions in the form to the right and get the answers you need. Have a Great Lakes Lifestyles windows review to add, this is the place to do it. Help educate other consumers through your past experience with this window or this window manufacturer.